At the recent time, there are so many homes which consists the old structure and the time has become changed, so there is a time to change the look of the home and give it something modern outlook. So, it requires the remodeling and whenever you think for this, and then you have to pay attention on each and every part. Because, every corner is important and needs the change and the very essential part is the kitchen. The most important role played by the women in the kitchen and they spend almost their day inside this. Due to this, this is your responsibility to give them all the facilities so that the women can enjoy their work and feel relaxed. 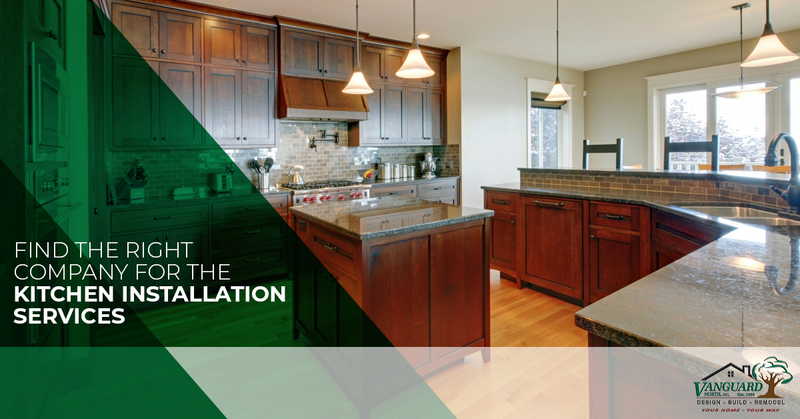 For this, you have to decide for the kitchen installation and this is not an easy job to do. You have to hire the professionals and they are the experienced persons in this area and they can decide the right design combinations. If you are looking for the kitchen installation services, then there are so many companies available in the market. But, the most important thing you need to do is to choose the best one. You can also search on the internet and you will find one of the renowned companies, i.e. “Vanguard North, Inc.” and we have 35 years of experience and serving in the Tallahassee and areas of central Florida. You will get the complete home remodeling services such as living room remodeling, restoration and renovation, bathroom remodeling services, attic remodeling and so on. Our main aim is to transform your dream into reality and main focus is on the client’s happiness. We offer the complimentary designs and estimates for the custom home building Tallahassee and for remodeling projects. If you want to take our service, then contact us today.